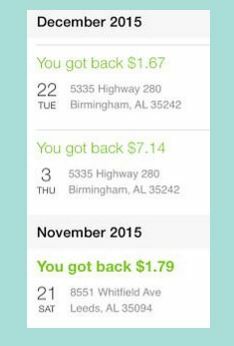 Have you been using the Walmart Savings Catcher App? 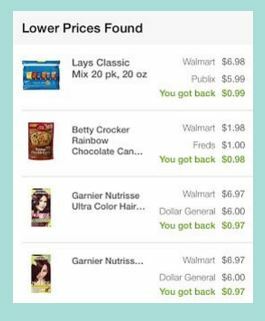 If you haven’t and you shop at Walmart for groceries and/or healthy, beauty, paper goods and more then you’re missing out on EASY savings! Easy, I tell you. I’ve included a video at the bottom of the post if you want to see it instead of reading about it. Once you SEE it you’ll know how easy it is! You will need to go to your phone’s app store and get the Walmart app. 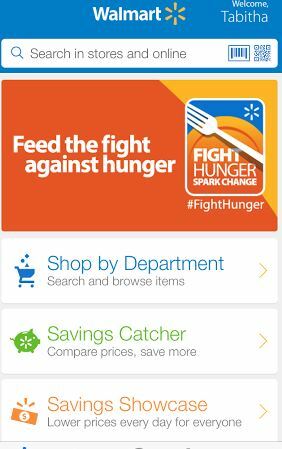 In the Walmart App is a heading for “Savings Catcher”. Then you’re done. Just sit back and wait for your savings to come to you! I love seeing what I’ve saved on! And sometimes it’s some pretty big savings – like the picture above – I got back almost $1 on each of those 4 items!! And even if the savings is $.25 here or $.33 there it still adds up fast! And what the pictures and the app doesn’t reflect are the coupons I used when I purchased the items. Or the cash back received from other coupon apps. So Savings Catcher is just savings on top of savings! Whenever I am ready to cash out (there is NO minimum balance for cashing out!) I just request my Walmart gift card and I get my balance amount on a gift card! 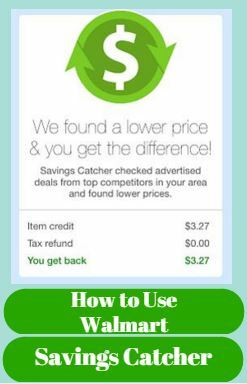 Have you used the Walmart Savings Catcher app? What do you think? Ready to find more coupons and ways to save? Check out “Where do people find all those Coupons?” for more! Since the savings catcher update I’m so confused! Can you only scan receipts in store now?